Many thanks for the correction. I have checked, and this and other records were entered from BRC record cards by BRC when work was being undertaken for the provisional atlas digitised at BRC and the date 1909 was not picked up in the checking. Now corrected. The location is given as Corfe Mullen (SY9796). Should this be changed for all these records to SY980967, a different monad? On looking through the records of this species I see that my record for Corfe Mullen SY980967 is dated 1909, this should be 1999. 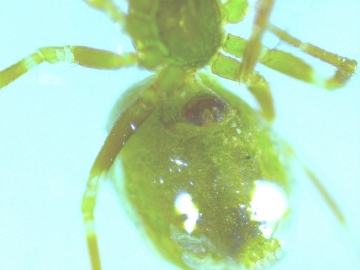 Re:Is this Nigma walckenaeri please? 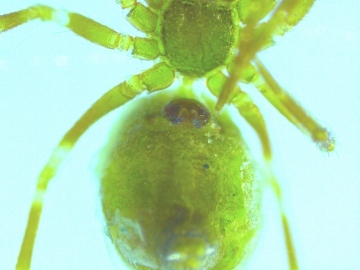 Yes, this is Nigma walckenaeri. Thanks for details. 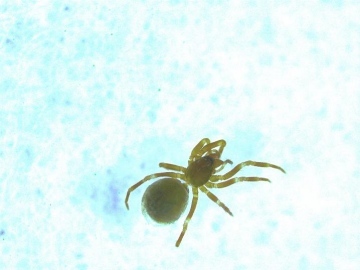 This spider has been spreading in recent years from centres of distribution in the Thames and Severn valleys and your discovery seems to fill in a gap in the distribution, see Nigma walckenaeri species page. The species is evidently continuing to spread, presumably climate related. 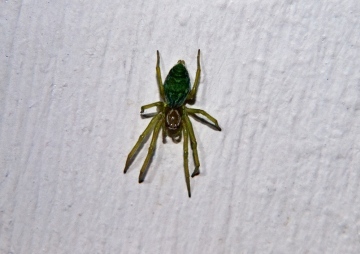 Is this Nigma walckenaeri please? Can anyone comment on this please? I believe it to Nigma walckenaeri (a female) but I'm no expert. Photographed at postcode DE13 0XS (Burton-on-Trent, Staffordshire) on 18th Oct 2016. I'm not sure that this is in the currently recorded distribution range. Thanks for any help you may be able to provide. I tried to identify it myself but none quite matched. This is in Northern Ireland. The video footage has been brightened to make it easier to see the spider earlier in the video...so the spider is actually darker. From seeing it in person, it looked to have a little bit of white on the top front of it and maybe some white on the top back.